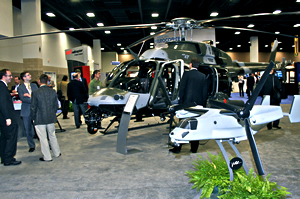 For 75 years, the Vertical Flight Society's Annual Forum & Technology Display has been the world's leading international conference on vertical flight technology. The Forum has evolved from humble beginnings at the end of World War II to a three-day event today that includes more than 250 papers on every technical discipline from Acoustics to Unmanned Systems. We now have available nearly every paper published at an Annual Forum. Browse by year or search our index of all available Forum papers. We have more than 11,000 Forum papers available. Take a look around – you’ll be surprised by what you find!